48 years, 2 months, 21 days old age. Ajay Jadeja will turn 49 on 01 February, 2020. Only 9 months, 9 days, 2 hours, 2 minutes has left for his next birthday. Ajay Jadeja has celebrated the total number of 48 birthdays till date. See the analysis by days count and bar graph. Ajay Jadeja, one of the best Fielders of Indian Cricket, was born on 01-02-1971 in Jamnagar in the state of Gujarat, Indian. 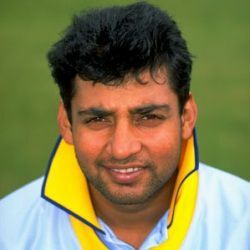 He was most active during the period of 1992 and 2000, appeared in 196 one day internationals and 15 test matches. Ajay Jadeja came in the spotlight by his fantabulous performance in the quarterfinals of 1996 Cricket World Cup against Pakistan and also in the match against England in Sharjah where he took 3 wickets for 3 runs in one over. His last One Day International was Pepsi Asia Cup against Pakistan on 3 June 2000 and was captain of India in thirteen One-day matches. An eclipse of the 5-year ban came in Jadeja’s life for match-fixing which was uplifted in 2003 by Delhi High Court. Currently, he is working as a cricket commentator. Jadeja also tried his luck in Bollywood and acted in movies Khel and Pal Pal Dil Ke Saath. He also worked as a cricket Anchor and Analyst with news channels like NDTV India and Zee News. He was born to Daulatsinh Jadeja & Gyanba Jadeja. He is married to Aditi Jaitley since 2000 and together has a son named Aiman Jadeja & a daughter named Ameera Jadeja. Politician Jaya Jaitly is his mother-in-law. He belongs to Sir Ranjitsinhji Vibhaji Jadeja (Maharaja of Nawanagar) family. He belongs to a Royal family of Jamnagar. 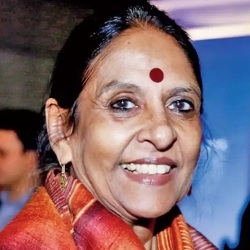 His wife is a daughter of Jaya Jaitly who is well-known Politician, Author, Activist and former president of Samata Party. In 1997, the government of India honoured him by Arjuna Award for the contribution in Cricket. He scored 40 runs in last two overs for reached in the quarter-final of 1996 world cup to the Indian cricket team. He resigned when appointed Delhi cricket team Coach in 2015.